How to create value in Private Equity? • Create not only rear-view visibility, but the ability to look forward with 3-5 year road maps. 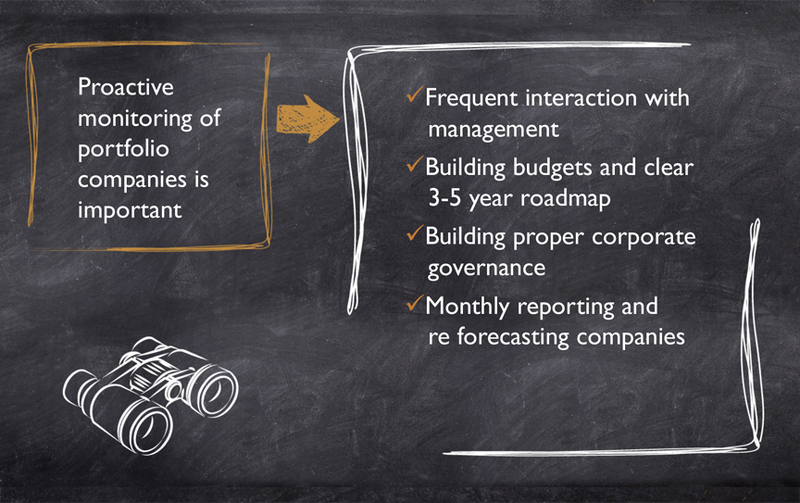 • Instill proper cooperate governance, monthly reporting and re-forecasting. • Strengthen your C- level positions (CEO, CFO, COO) to assure growth in the company. Raising New Equity & Debt Financing – Private Equity is always buying and also selling. M&A Strategy – There needs to be a well-defined strategy. This could be hiring an investment banker with expertise in an industry, or it might be identifying attractive acquisition opportunities. Integration Assistance – Working with the management team, we can see what works well and what hasn’t worked well to assure a smooth path towards integrating the acquisition. Build Up The Executive Management Team – Not just growing management but sometimes making changes, such as bringing in a new CEO because the company has hit an inflection and can no longer grow with current CEO. IT Systems Enhancement is Critical to Operational Support – This could mean looking at sales automation software, and software implementation costs. Optimization Business Process & Internal Decision Making – Look at the actual workflow that takes place and make decisions based on the positions vs. individuals to prepared for growth. The main thing to consider is your exit strategy at the time of entrance, always keeping it in focus, and having plans for worse case scenarios. 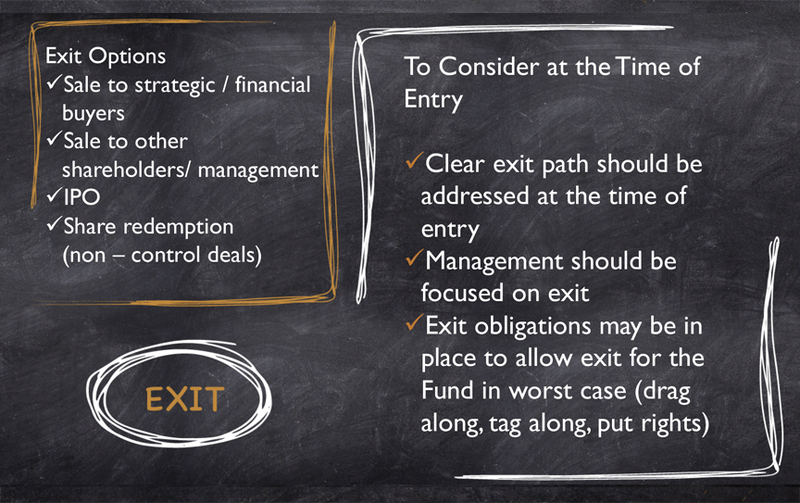 When you look at different exit options, you can sell the company to a strategic or financial buyer, other shareholders or management, you could take it public, or you may have a share redemption in a non–control deal.